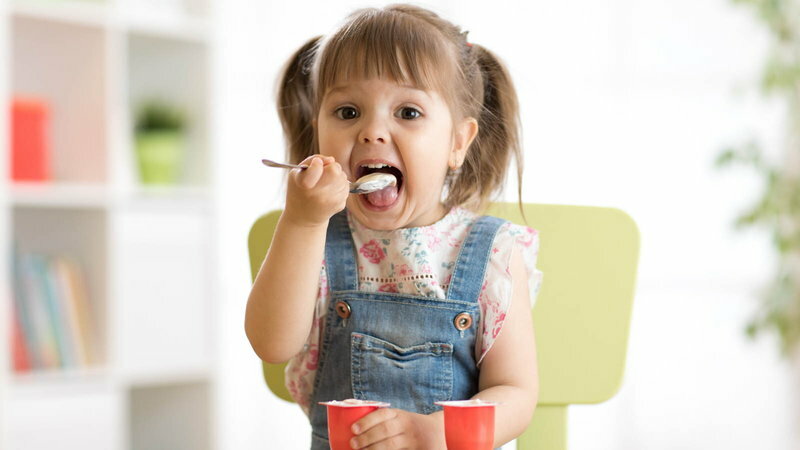 Allergies to dairy products are among the most prevalent food allergies in babies. Between 2 and 3 percent of babies develop dairy sensitivity, but the sensitivity typically disappears with aging. Babies may develop rashes and loose stools or diarrhea as a consequence of food allergies. 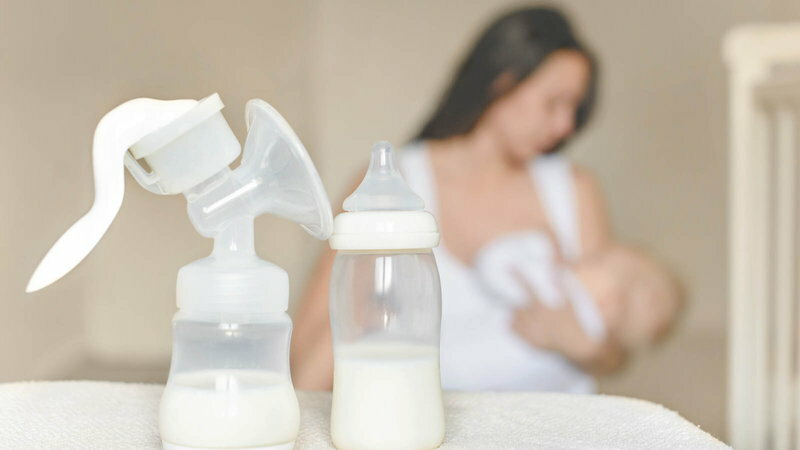 If you are breastfeeding and consume dairy products, eliminating these should be a priority until you know what is causing your baby's symptoms, because all the food you eat is processed and present in the breast milk. Cow's milk contains a protein that is the culprit causing the allergic reactions. The baby's immune system doesn't tolerate this protein and responds with symptoms such as an upset stomach, diarrhea (often with blood in it), gagging, bloating, lack of appetite, itchy bumps on skin and skin rashes. The baby will also be irritable. Diagnosing dairy sensitivity is problematic in babies. Your doctor may examine the baby and run a skin test that involves injecting a small amount of milk protein under the baby's skin. If the baby has a negative reaction to the injection, the diagnosis is clear. If your baby is allergic to the milk protein, you should eliminate your intake of milk and other dairy products, because the protein gets into the breast milk and enters the baby's system when he nurses. Check all products you eat and drink to ensure that they don't contain milk, cheese, yogurt or other dairy products. As of 2006, all food and beverage producers are required to state whether their products contain milk or milk-based ingredients. 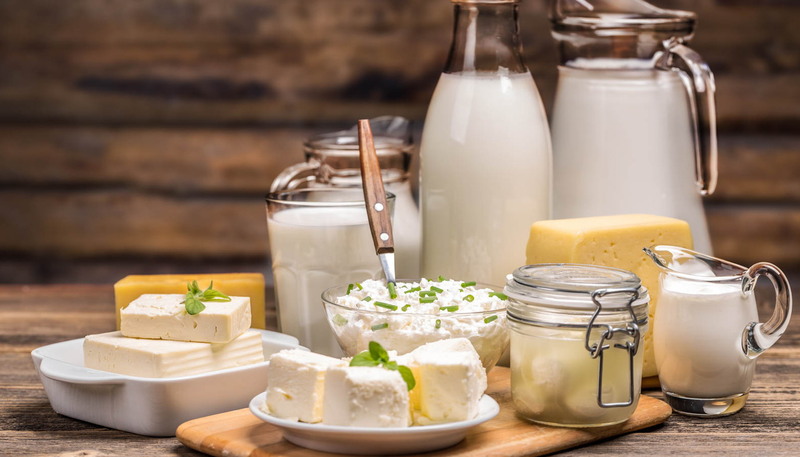 Avoid foods that contain artificial butter flavor, butter, butterfat, buttermilk, cheeses, custard, casein, lactose, milk, nougat, pudding, sour cream, whey or yogurt. Other ingredients that may indicate that milk protein is present in the product include margarine, high protein flour, caramel and chocolate. Make sure you get your calcium requirements from different foods such as kale, broccoli or spinach, or take a calcium supplement. Calcium is essential when you breastfeed, and a calcium deficiency can lead to health problems. Milk protein can be eliminated completely from a person’s system anywhere from 4 hours to 4 days, depending on her metabolism and the amount of dairy products she has consumed. If you have a dairy intolerance, your system may take on the longer end of this time range to digest the milk products. However, after 4 days of avoiding dairy products, you can be sure that the milk protein is no longer in your system, so your baby will no longer develop allergic reactions to it. Your baby may have allergy symptoms for up to 4 days after you fed him the last milk contaminated with dairy protein. If the allergic reactions persist beyond that time, check with your doctor, because your baby may be allergic to a different ingredient. Babies may be allergic to other ingredients in your diet including soy, nuts, eggs, gluten or wheat. The only way to determine the cause of your baby's symptoms is to have him tested for the ingredients you suspect are causing the allergic reactions. In addition, babies with dairy sensitivities may have symptoms that mimic reflux, such as frequent spitting up, coughing, and wheezing. Before testing your baby for reflux, your doctor may advise you to eliminate dairy from your diet to see if his symptoms improve.